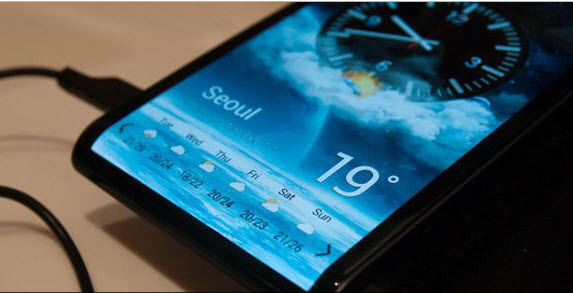 Samsung Galaxy S4 was shown off by Samsung Display at CES 2013, featuring a 4.99-inch screen with a Full HD pixel count and a dizzying 440PPI resolution, which is set to ship in Q1 2013. The 1080p display with superb sharpness is good for playing up to 1920x1080 HD movies and TV shows. Like its predecessor Galaxy S3, the new Android 4.1 based Samsung Galaxy S4 smartphone supports MPEG-4, H.263 and H.264 video. If you need to put VOB, MPG, DVD and other movies to S4, you might need a video encoder to downsize and convert the videos to H.264 first. Pavtube Video Converter Ultimate is recommended as a best tool to help you complete the conversion from Blu-ray movies, DVDs and videos to Samsung Galaxy S4 optimized videos. With GPU encoding (Nvidia CUDA/AMD APP) and optimized audio and video in sync technology, Pavtube Video Converter Ultimate finishes conversion at super high speed and perfect av sync. Step 1. Run the Blu-Ray Video to Samsung Galaxy S4 Converter and import source video files. Once run the converter, click “Add Video” to load your 1080p/720p video files like MTS/M2TS, MKV, MOV, TOD, TiVo, etc. and click “Load BD/DVD” to load your DVD and Blu-ray movie files. It may take a few seconds to load your Blu-Ray movie from target BD drive. The Blu-ray to Samsung Galaxy S4 Converter supports batch conversion, so you can add multiple files to it at a time. Step 3. Set output format and A/V settings to fit for Samsung Galaxy S4. Click “Format” bar and select a MP4 format for Samsung Galaxy S4 playback. “Samsung>>Samsung Galaxy S III Video (*.mp4)” format is recommended for faster conversion and best movie effect. This format is designed for Samsung Galaxy S4 specifically and guarantees fluent motion. You may also click “Settings” to further adjust video quality and resolution. Step 4. Start ripping and converting Blu-ray/DVD/HD 1080p videos to Samsung Galaxy S4 video. Now click "Convert" button to start ripping Blu-ray and DVD movie to Samsung Galaxy S4, or converting video to Samsung Galaxy S4 video. You may check "Shut down computer after conversion" and leave it be. Once the conversion task is finished, you can click “Open” button to get the final output files for your Samsung Galaxy S4 and sync the MP4 files to Samsung Galaxy S4 via Kies. If you’re running Mac OS X, you can use iMedia Converter for Mac to convert videos, DVD and Blu-ray movies to Samsung Galaxy S4.